Which would you use for a web application, i.e. what to display when a blog post or an article has no comment attached? 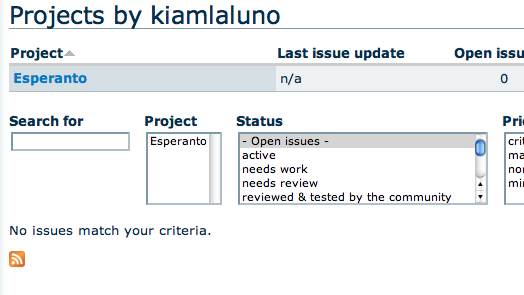 Actually, I am trying to fix an application that says: "There is no comments"! Would that ever be right? More generally speaking, it feels wrong to have a plural after the negative no/none or with the preposition without (see my previous question "Without reason" or "Without reasons"?). Those words imply zero, i.e. less than one, while plural is two or more. Yet, I know that phrases like "There are no comments" or "He is without friends" are common. It seems illogical to me. Are the majority of people making a grammar mistake when using such expressions, or else can you explain why this is correct? "No comments" is correct, and this construction is common in English. For example, we get singular agreement for number for the value of 1, and plural agreement for anything else. This extends to "no" as well. Using "no" combined with a singular is possible, but implies that there would only be either one of that thing, or nothing. This is much more rare (though it comes up from time to time). You might read in the newspaper, "When asked about the situation, the press secretary had no comment." Here it is singular because you either have a comment about a matter, or you don't. If you say a lot of things, it is still considered one comment (at least in the journalistic sense of the word). There is no newspaper in my driveway today. Nobody says "there were no moons that night" … you would have to be on another planet for this to make sense. There is half a comment. If you think of comment in the case there is no comment as being short for commentary then you will find it easier to understand how it works and what it means. "There is no comments" is not correct in any situation where comments is the plural of comment. There is no news, however, is correct because there is no singular version of news. I would use there are no comments. As far as I can see, in such cases the plural form is preferred. There are no menu links yet. There are currently no styles. There are currently no effects in this style. There are no fields yet added. There is not enough memory available to PHP to change this theme's color scheme. There is no new syndicated content from the site. Actually, I am trying to fix an application that says: "There is no comments" ! Would that ever be right?? There is no comments is not correct. There must be an agreement between the verb and the subject / object. In the same way you don't say there are no cow, you don't say there is no comments. Not the answer you're looking for? Browse other questions tagged grammatical-number verb-agreement negation there-is quantifiers or ask your own question. Is singular or plural standard for state of none of something? There is no ticket or there are no tickets? “Without reason” or “Without reasons”? Singular or plural verb after ‘no’?